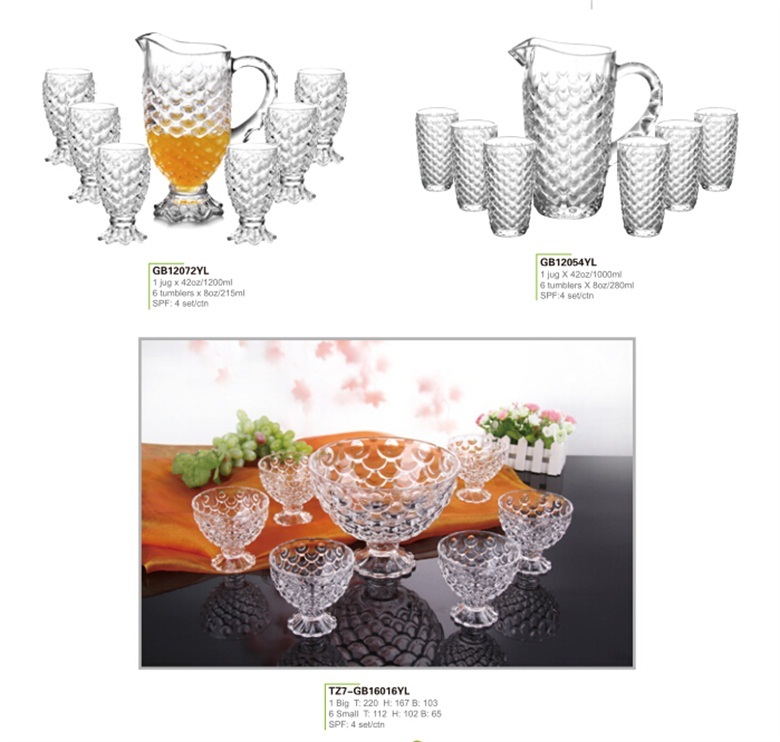 Glass water set is always popular by people for drinking juice and water, by tiring of printing design ,one designer think that can we put the fish scale pattern on the glass jug and tumblers, here below the first and then become very hot style for fish design, will you think is very funny and fantastic. 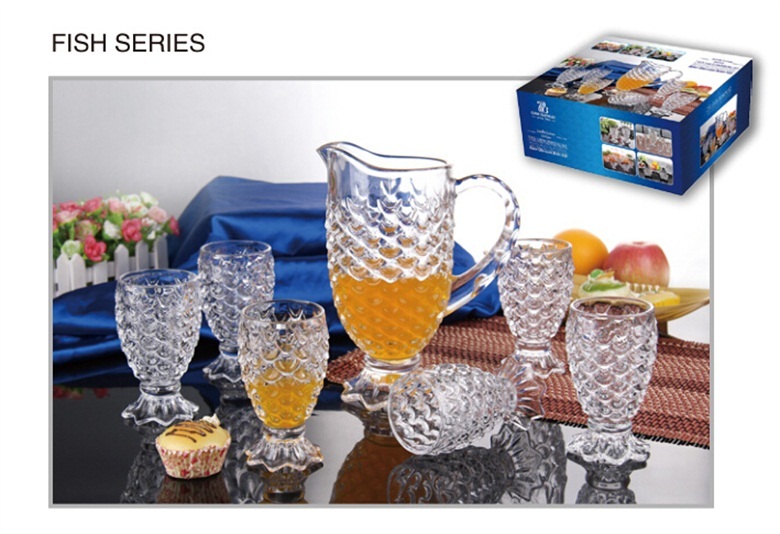 When the first design come out, they are 7 pcs water set with a jug and 6pcs tumblers, the whole body with fish scale, the big pitcher is like a mother fish and the cups are like small fish, which make these water set very funny and vivid, when you hold these set for drinking, you will feel the beverage is very fresh. 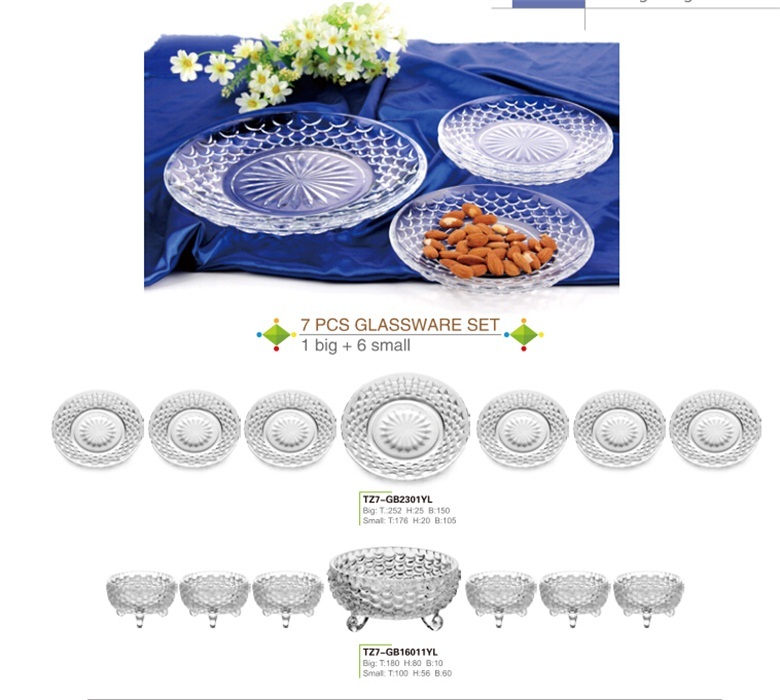 After the first design hot sale ,the designer create these design on more models ,such as the ice cream bowl , dessert plate, and bowl. 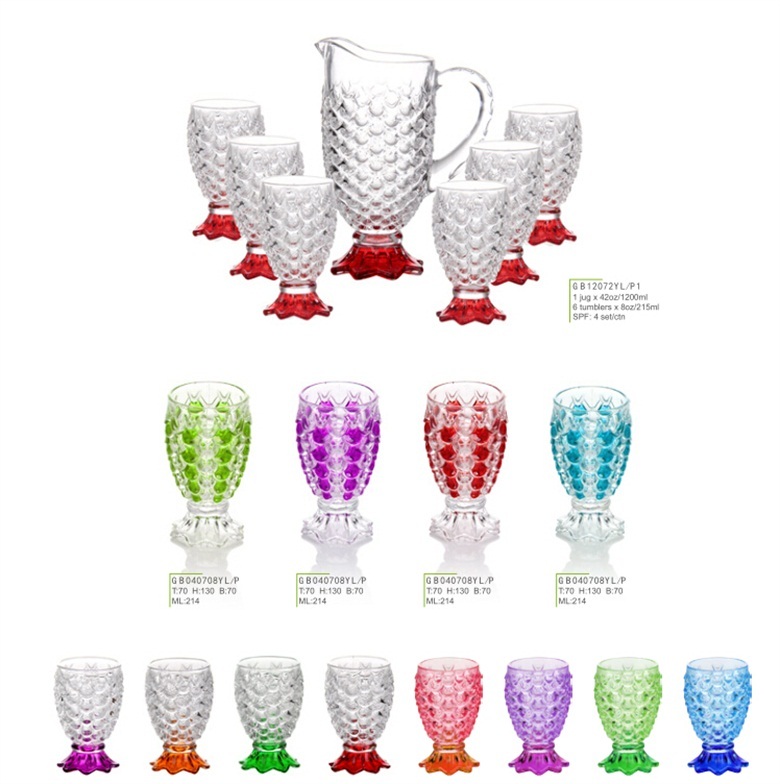 We can also spay color on the fish scale, for whole body or some scale, these also make the tableware very funny and interesting.